The Green Hotel offers a room for business meetings and conferences allowing to accommodate up to 90 guests. 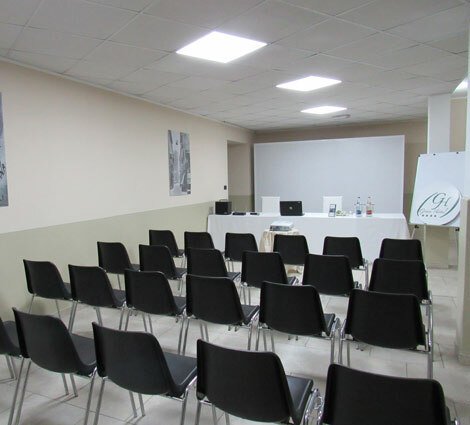 The meeting room is equipped with a giant screen, video projector, flip chart, Ultra speed wireless Internet connection, DVD player, microphones and audio amplification. Other technical facilities and equipment for all requirements can be furnished on request. Providing you with an exclusive assistance for conventional meetings and events, our professional staff will assist you for any organizational requirements you may need. agli incontri di lavoro o privati.